We are engaged in manufacturing a wide range of Karizma Album Bag. We have been affianced in providing an excellent quality of Wedding Album Bag. Our company holds immense experience in this domain and is involved in offering wide assortment of Wedding Album Bag. 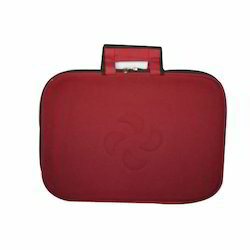 Red Wedding Album Bag, Size/dimension: 16x22"
Wedding Album Bag is specially designed for providing complete protection to your memorable wedding albums. 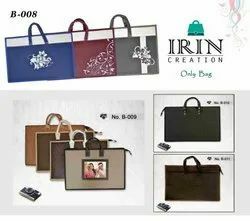 wedding album bags, photo album bags, leather photo album bags.